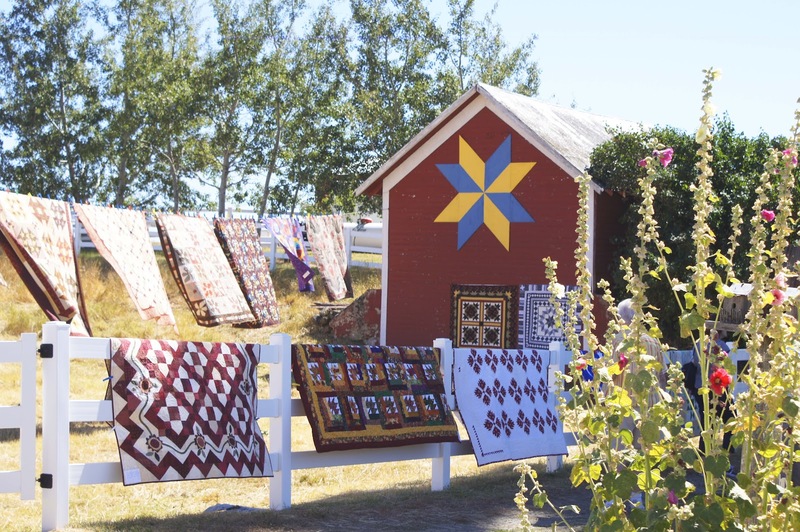 Hundreds of feet of white rail fencing leading into and surrounding the property were covered with quilts of every size, color, and pattern. 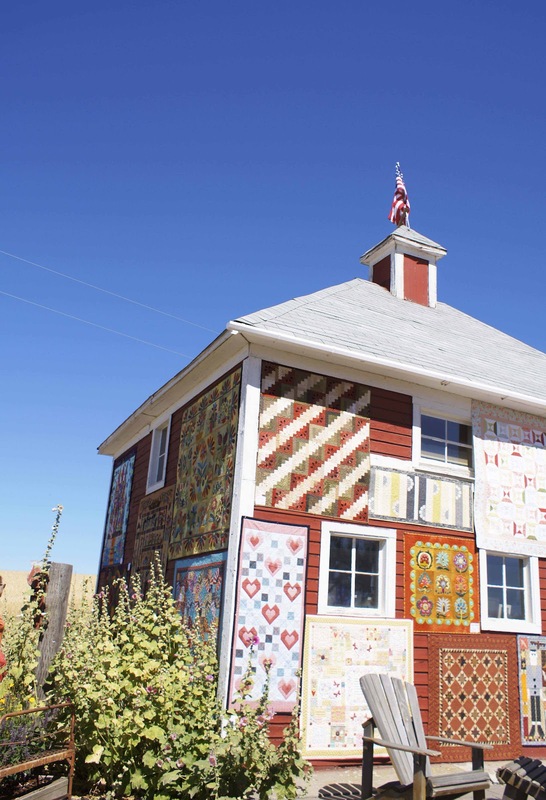 Two buildings have quilts pinned to every wall, and clotheslines are strung to display even more. When we stepped out of the car, wheat was all we could see. Lots and lots of wheat. Before long, a barn came into view. Housing part of the folk art sale that spilled over into tents. We took a peek, but I was there to see the quilts. And I wasn't disappointed! I have no idea how many quilts there were; let's just agree that there were LOTS. I took pictures of some that impressed me or spoke to me in some way. If you didn't have the chance to come to this year's show, hopefully you can check it out next year. You won't be disappointed! P.S. If you'd like to see more quilt pics from the Barn Buggy show, check out the long version of this post on my quilting blog, A Little Off Quilter. That looks like a wonderful show, especially because it's outside in the fields. 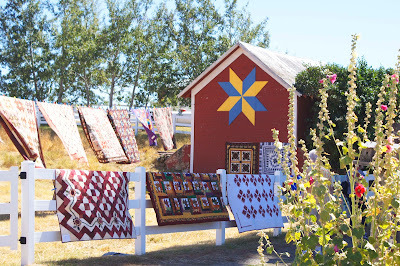 What GORGEOUS quilts! Loved the shots of the wheat too!! Hi Pam, you have been MIA for so long I was hoping you were okay! Thanks for sharing all these beautiful quilts with us. Looks like a great trip and you were probably like a kid in a candy store huh?